With the 2015-2016 season in the books, here are the final top ten rankings for the 3A Girls classification! One of the best teams in state history, the Wolverines captured the school’s first title since 1975 with a perfect 29-0 record. The Royals were even better this season than the championship team from a year ago, but Bellevue foiled their plans of a repeat in the semifinal round. 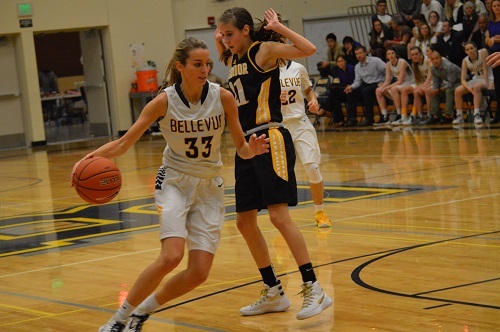 The 3A runner up compiled 25 wins in a tough WesCo League with the only blemishes on the schedule compliments of Bellevue and Lynnwood who sit atop the Eagles in the power rankings. Spokane’s Wildcats gave Bellevue a scare in the opening round of the Hardwood Classic demonstrating their strength to run with the best Washington has to offer. Finishing in the Final Four this season is a tremendous feat for the Mid-Columbia representative Braves given the depth of the 3A classification. The Falcons proved they could go toe-to-toe with just about any team they faced as untimely losses spoiled a higher finish in the overall standings. A ten point win over Auburn-Riverside in the regional round raised some eyebrows for how prepared the Warriors were to make some noise in the postseason. The lone Tacoma-based team to finish their season within the confines of the Dome were 24-1 heading into state cementing their rank as a top-ten team. The young core group of Braves that nearly won the title in 2014 continues to churn out quality seasons, but does so amongst equally talented programs that are fighting to play in March. A state tournament caliber team drew Lynnwood in regionals to prevent a trip to Tacoma, but a fantastic campaign for first year head coach Darnell Taylor nonetheless. Despite having only 6 players active in Saturday’s regional game against Mountlake Terrace, Bellevue was able to punch their ticket in a low-scoring affair with the Hawks. 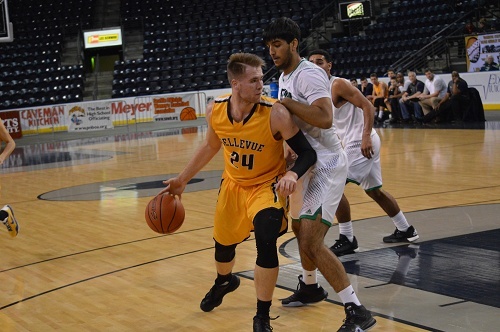 An early Bellevue lead created by the likes of Sharif Khan and sharpshooter Colin Suter was gradually whittled away heading into halftime as Khyree Armstead found his rhythm recording all nine of his points in the first two quarters. 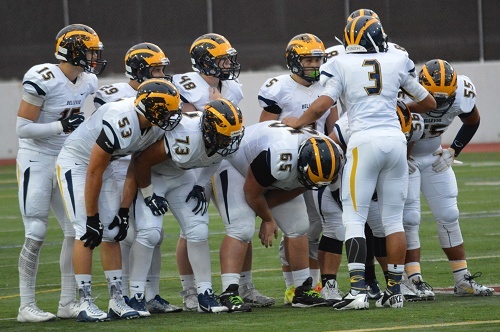 They were unable to carry the momentum into the third quarter when the Wolverines put the clamps down on defense. Mikey Henn and Cole Cirillo helped give their team a lead Terrace would not surmount. As a result, the Wolverines find themselves playing March basketball once again. Bellevue 43, Mountlake Terrace 35. 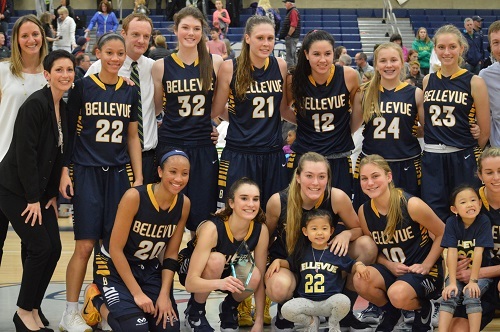 The SeaKing district final paired league champs as KingCo’s Bellevue squared off against Bishop Blanchet from the Metro League. 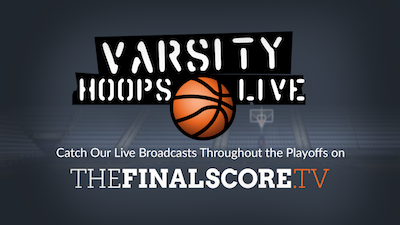 Listen as Nic Beckman provides a game recap including post-game comments from Bellevue senior Shelby Cansler! 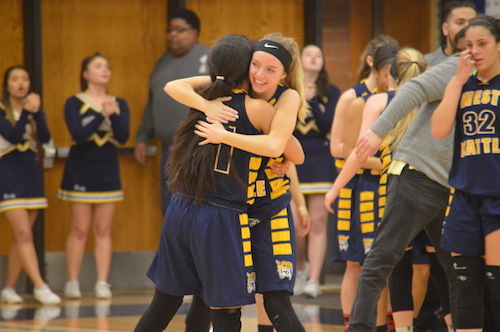 The SeaKing district final could potentially be a matchup we see once again before season’s end as undefeated Bellevue faced off against Metro League champs Bishop Blanchet. The Wolverines showed their team speed within the opening moments of the game as Quinessa Caylao-Do started her scoring spree following the opening tip with an outlet score. This sparked a 12-5 run which prompted a Blanchet timeout to talk things over. The pace remained up-tempo, but Blanchet was able to claw back through contributions of Jadyn Bush and Taylor Chambers who scored 15 and 12 respectively. Bellevue’s leading scorer Shelby Cansler rolled her ankle midway through the second quarter amidst a strong start. The Braves chipped away at the deficit and trailed by three at the break 32-29. 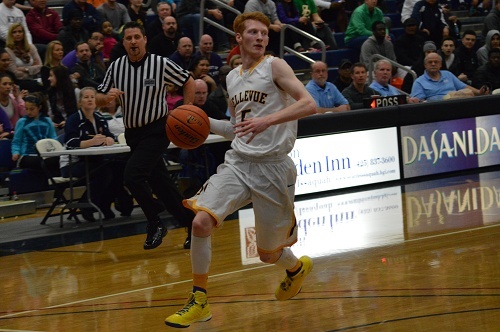 Bellevue 67, Bishop Blanchet 53. Monday night showcased a clash of KingCo powerhouses in Bellevue and Inglemoor. The Wolverines are fresh off a first place finish in the Tournament of Championships in Arizona over the holiday break. They would put their perfect record on the line against an always tough Vikings squad. Bellevue controlled the pace early by pushing the ball up the court quickly and not allowing Inglemoor to get comfortable in their defensive sets. The Wolverines picked up a double digit lead that continued to grow through contributions by Quinessa Caylao-Do who scored 14 in the contest including an efficient 11/12 from the free throw line. Additionally, Shelby Cansler notched 11 of her team-high 18 in the first half as the versatile scorer demonstrated her range and skill under the basket. Inglemoor regrouped and put together a late run in the first half to close the gap. Kennedy Nicholas finished a tough reverse layup while drawing a foul to bring the deficit within ten and bring to single digits. Difficulty from the charity stripe troubled the Viks and Bellevue capitalized by bringing the lead back to fifteen by halftime. The Wolverines continued to grow their lead in the third quarter as the defensive effort continued to pay dividends. 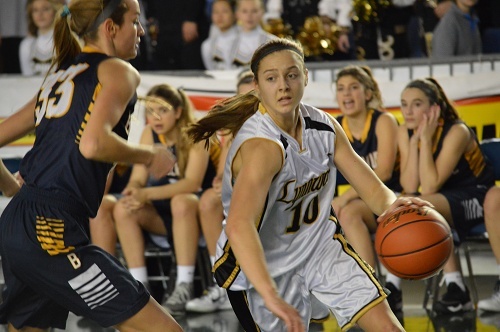 The Bellevue trap forced several turnovers, many by Anna Wilson who finished with 13 points. Inglemoor seniors Mackenzie Gardner and Ifeoma Emeka solidified the Inglemoor attack by showing toughness down the stretch. Emeka finished with a team-high 13 in the contest. 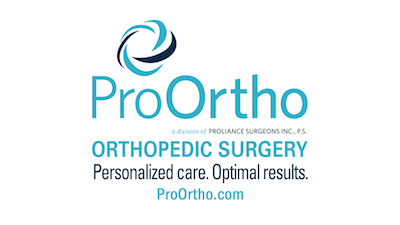 The fourth quarter was mostly academic as the outcome of the game was essentially decided. However, the final moments of the game featured a stamp on the contest which was a behind the back pass from Anna Wilson to Ann-Marie Jacobs. The Wolverines start 2016 by continuing their long streak in the win column. 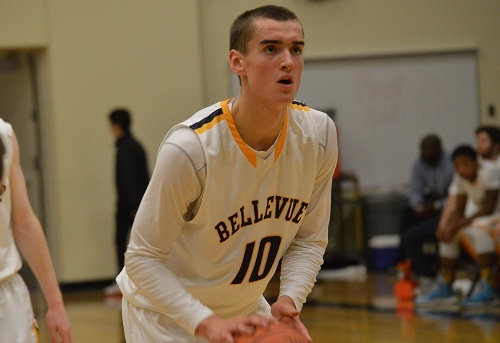 The matching 23 point totals for Sharif Khan and Mikey Henn helped propel Bellevue to a double-digit win over Kentwood in the Showare Shootout. Early in the contest, Conqueror guard Darius Lubom helped Kentwood jump out in front. 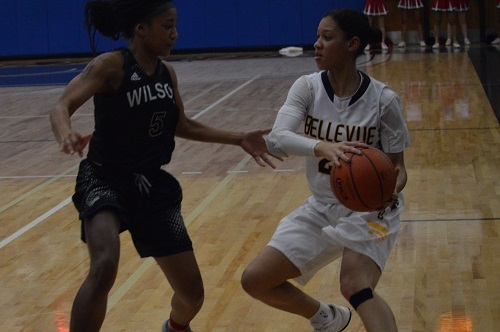 However, Bellevue countered with an extended run during the second quarter which helped the Wolverines take a narrow 3 point lead into halftime. The Wolverines continued to score at their average rate in the third quarter, but Kentwood hit a wall. The Conks only recorded 4 points in the third quarter. As the game winded down, it was evident Kentwood was pressing a bit and the Wolverines kept their composure. Despite double figure scoring by Koby Huerta, Rayvaughan Bolton, and Lubom for Kentwood, the dynamic duo of Khan and Henn guided BHS to a win. 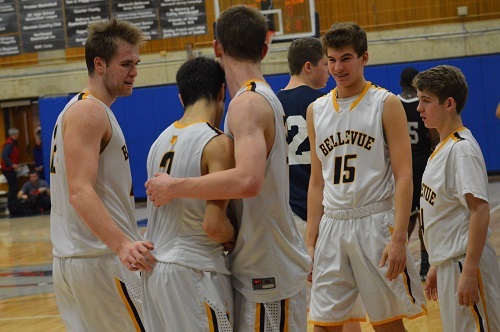 Additionally, Bellevue sophomore Andrew Kenny nearly recorded a double double with 9 points and 10 rebounds and Cole Cirillo dished out 7 assists. Bellevue has become synonymous with championship football in Washington and their appearance at the Tacoma Dome during semifinal week is par for the course. Bishop Blanchet would look to continue their dream season under Coach Kyle Moore on the heels of a 73-28 blowout over Juanita last week. The Braves demonstrated how green they were literally and figuratively as the first snap of the game was fumbled and recovered for a Wolverine touchdown. Bellevue struck again two minutes late as Isaiah Ifanse punched it in from two yards out to cap off a four-play, seventy-two yard drive and give BHS an early double digit lead. Needing a big play to spark Blanchet, the ever-reliable O’Shea Trujillo made a big play; a 39 yard fumble recovery for touchdown cutting the lead to a single score. This started a back-and-forth game trading touchdowns as the scoreboard read 35-21 in favor of the Wolverines heading into halftime. Butch Goncharoff certainly reinforced the need to start halves strong because his team found the goal line early in the third on an Ercle Terrell run who finished with three total touchdowns. Once again, Bishop Blanchet answered the call on a trick play which involved a pass from Trujillo to a wide-open Christian Peter. The Braves finally recovered an onside kick afterwards, but failed to turn the momentum into points. This proved to be a backbreaker for Blanchet because Bellevue put the nail in the coffin to secure a 56-28 win. 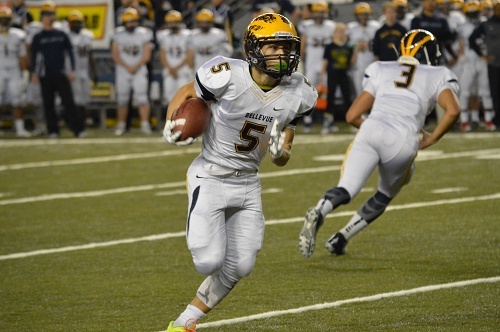 For the fourth consecutive year, the Bellevue Wolverines will face the Eastside Catholic Crusaders for the 3A state title. It’s rare that Bellevue heads into any game with a two game losing streak. 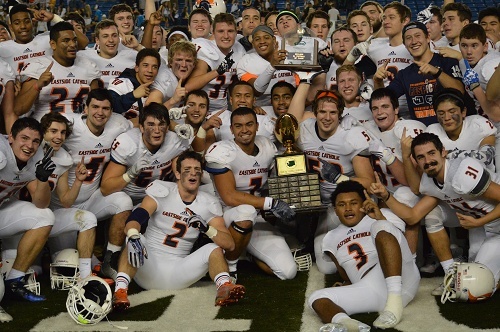 Friday night was one of those exceptions as the Wolverines were looking to get back into the win column as the 2014 state championship game and ’15 season opener with Bishop Gorman from Nevada were primed to be put in the rear view mirror. The challenger to this proposition would be rival Mercer Island who found themselves tied 21 apiece when they played at Bellevue last year before eventually losing. The game started in familiar Wolverine fashion as a quick forced 3 and out on defense was followed by a 55 yard receiving touchdown by Tyson Penn on their first play from scrimmage. This was followed by another forced punt and 35 yard dart thrown by Justus Rodgers to Isaiah Gilchrist up the middle on 4th and six to put BHS up by 14 early. The onslaught had begun. The inability for the Islanders to gain an upper hand on the field position battle left them susceptible to allowing more scoring by the hungry Wolverines. After touchdown runs by Ercle Terrell and Christoph Hirota, Bellevue led 28-0 at the half. More of the same continued in the final two frames as Justus Rogers scored on a QB keeper adding to the lead and further sealing the fate of the contest. 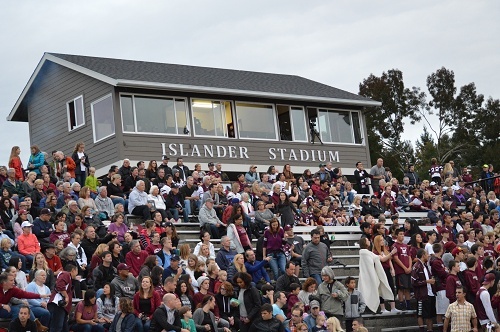 The Islanders fought hard and the Mercer Island faithful showed up loud and proud, but they were unable to find the scoreboard. The Final Score: Bellevue 56 Mercer Island 0. Lynnwood’s stifling defense and lightning quick offense has put them on a collision course to a deep state tournament run all season long. 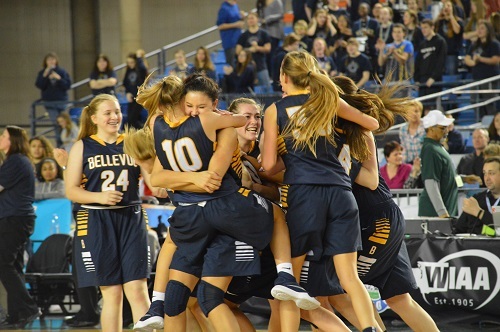 With one game separating them from their first championship appearance in 3A, Bellevue who has put together another strong season stood in their way. The well-balanced Royals squad Coach Everett Edwards places on the floor each night featuring Mikayla Pivec and Monty Cooper cruised to a convincing 60-36 victory over a talented West Seattle team in the opening round. Meanwhile, the Wolverines rolled to a double-digit win over Prairie in the quarterfinal round on Tuesday. With a ticket to the title game on the line, who would prevail? The Royals put together a first half that would determine the fate of the game in their dominance on both ends of the floor. Not only did they limit Bellevue to a dozen points in the first sixteen minutes of play, they built a twenty point lead in the process. Their 42% field goal percentage compared to BHS’ 17% told the story in the opening quarters of the contest. A 32-12 halftime score meant the Wolverines had a huge hill to climb. BHS returned to the floor with a spark in the third quarter in which they registered 19 points, but allowing 23 in the process caused the Lynnwood lead to grow. Bellevue’s key players all season long including Mackenzie Keeter, Deja Rogers, Tatiana Streun, and Mandy Steward were unable to establish a rhythm and react to the incredible team speed of Lynnwood. Back-to-back possessions where the Royals drained long jump-shots including a deep three by Dani Hayes causing the net to get tangled with the rim symbolized the roll Lynnwood was on from start to finish. Four Royals finished in double figures including Pivec and Jordyn Edwards with 15 apiece. LHS advances to take on the back-to-back defending champs in Cleveland on Saturday. In what could become a state final matchup, the 3 time defending champs Rainier Beach squared off against a surging Bellevue team for the district title on Saturday at Bellevue College. The capacity crowd was eager to see two of the top teams in the state square off to determine district dominance. This particular game had seeding implications on the line in addition to an extra boost heading into regionals weekend. The stage was set: Metro League versus KingCo. Which league would prevail? As Rainier Beach does better than anyone, the Vikings pressed the Wolverines in the backcourt with Ivy Smith and Shadeed Shabazz. This defensive effort provided dividends on the offensive end as Shabazz got a hot hand early. Bellevue countered with high scoring early as big man Mikey Henn notched eight points including a pair of triples in the first quarter. Ivy Smith connected on a long toss at the first quarter buzzer to give RB a 27-19 lead after one quarter. Senior leader for Beach Dejounte Murray demonstrated his versatility by pulling down tough rebounds and controlling the Viking attack. He followed his 10 point first quarter with half a dozen more in the second frame. Murray finished with a game-high 22. The Wolverines kept pace with a variety of scoring options including reserve Andrew Kinney who provided a nice boost. At the break, RBHS held a nine point lead. When play resumed, BHS was eager to find a groove and cut the deficit to set themselves up for a chance to win. Senior captains Kyle Foreman and Gunther Klimes attempted to will their team to reach that extra gear Bellevue is capable of locking into. Rainier Beach dashed their hopes on back-to-back possessions when a two-handed alley-oop slam by Murray was followed up by a defensive stop and a tomahawk slam by high-flying freshman Kevin Porter. Trailing by a dozen with a quarter to go, could Coach O’Connor rally the Wolverines? Beach responded with a resounding “no” as Murray converted on two crucial possessions to put the game away. He zipped an assist to Vincenzo Reiser who was parked under the cup and on the next possession dished the rock to Ivy who knocked down a three while being fouled in the process. 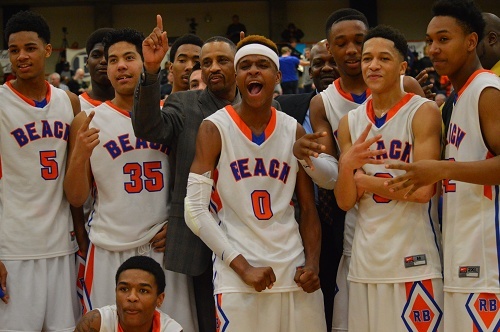 These two plays put the game on ice and propelled Rainier Beach to a district championship. 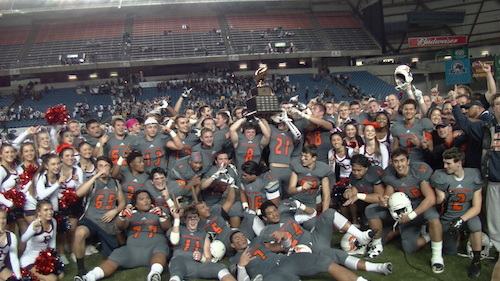 Don’t be surprised if these teams meet up again in the Tacoma Dome in March! 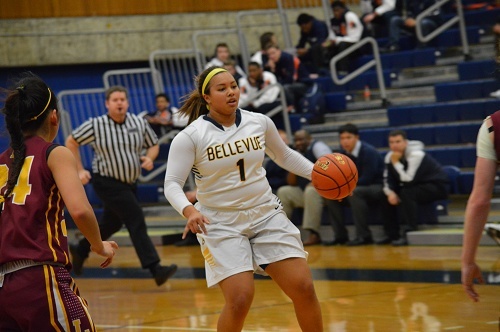 Tuesday night at Bellevue College featured four SeaKing matchups including a clash of top girls squads in Bellevue and Lakeside. The Lions picked up a 40-31 victory over Seattle Prep on Saturday to advance to the second round of the winner’s bracket. Leah Krautter’s Wolverines earned a first round bye to place Bellevue directly into this game. Advancing to the next round in the district tourney was on the line for the victor of this contest. Bellevue jumped out to an early lead as the disruptive perimeter defense forced turnovers and created open looks on the offensive end. Mandy Steward showed her shooting range by knocking down jumpers after intercepting passes on the defensive end of the floor. Kimijah King led the Lions in scoring by strong takes to the cup despite strong defense in the paint. A stark difference in the contest was the sure-handedness of Bellevue. They pulled down rebounds stronger and were able to pluck away loose balls more regularly. After garnering a ten point lead after the first quarter, Bellevue was on its way to a blowout. However, Lakeside finished the second quarter strong and was able to retain a ten point deficit going into halftime. The Wolverines continued to build their lead early in the third as their variety of scoring options made a presence. Steward tacked on eight, Ann-Marie Jacobs added four points, and five other Bellevue contributed to the huge 24 point third quarter. With eight minutes remaining and a 50-24 lead, the fate of the game was sealed. However, Lakeside continued to battle and the support showed by those on the bench fueled the Lions to a strong final frame. Their tenacity on defense including hitting the deck for loose balls paid dividends on offense. Kelly Keene knocked down a corner three and after Lakeside intercepted the ensuing inbound, found Keene in the same spot for another triple in the matter of seconds. The Lions would outscore BHS in the fourth quarter by a 19-12 margin, but the Wolverines walked away with the win. Bellevue is no stranger to the Tacoma Dome and the juggernaut from the east side of Lake Washington will play in the Gridiron Classic for the 11th time in the last 13 seasons. To reach December football, Goncharoff’s guys would square off against Marysville-Pilchuck. The Tomahawks have overcome major adversity on and off the field these past few months so this game was emotionally charged in many ways. 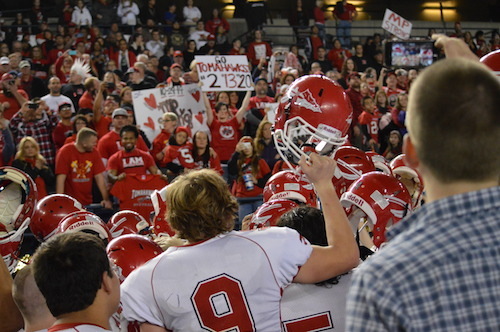 The sea of red on the MP sideline was enormous and the support was felt by everyone at the Tacoma Dome. But there was a game to be played, how did it shake out? Pilchuck’s ability to keep the score within one possession and feeding off the crowd helped take their defensive effort to another level. Bellevue was held scoreless in the third quarter. Meanwhile, the Pilchuck offense came alive as Austin Joyner and Killian Page barreled through defenders to keep a long drive going into Wolverine territory. Drew Hatch who finished with 11 tackles on defense was the recipient of a 14 yard strike from Erik Lind to tie the ballgame at ten apiece. The Pilchuck sideline erupted as their resilient squad was battling toe-to-toe with the best. With one quarter left, the game was up for grabs. The Bellevue coaching staff gathered the team together to refocus and they responded accordingly. BHS quarterback Justus Rogers found success in running the football later in the contest and set his team up for another redzone opportunity. Richmond rumbled through defenders en route to a two yard touchdown run despite the ball popping loose at the end of the run. Down a score, Pilchuck needed a response. Their offense stalled and were forced to punt. Bellevue drove down the field quickly, but were stopped from recording a likely back-breaking touchdown. Khoadamorad set up for a field goal. Off the post! 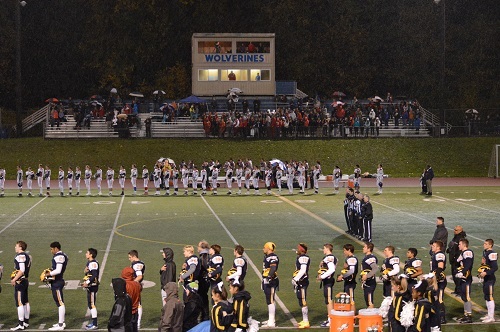 The FinalScore – Bellevue 20, Marysville-Pilchuck 10.